If you use Facebook for advertising, you must wonder how you can get a better return on investment? Reducing CPC cost will result in more clicks – all within the budget you originally had. No matter what your business is and its size, there will always be ways you can optimize it. 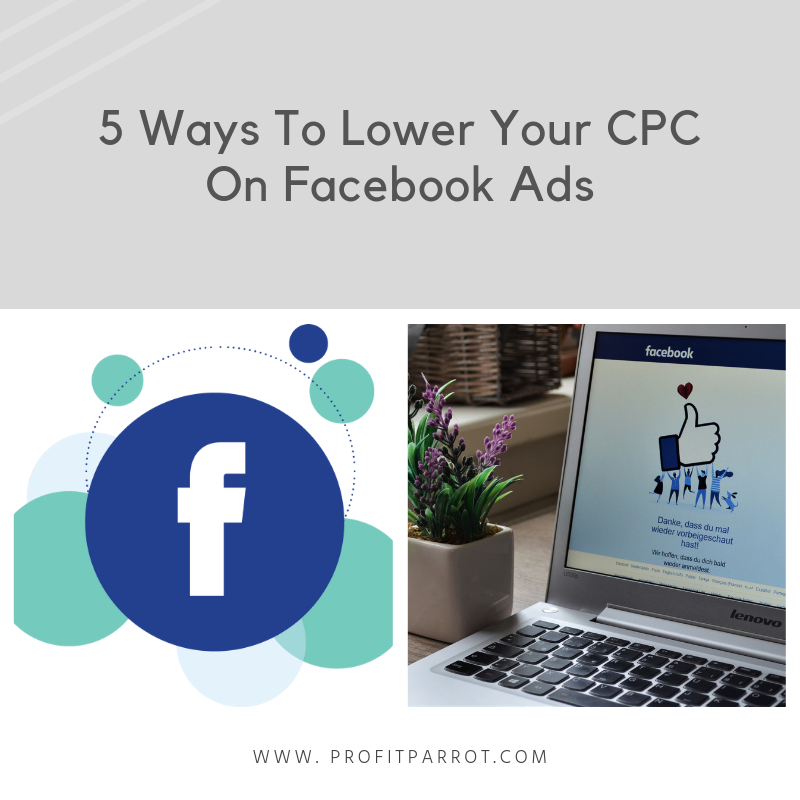 Let’s look at 5 ways to lower your CPC on Facebook ads. Even if you have a social media manager or someone to handle your SEO, it is always recommended that you understand important factors that affect your CPC. Relevance Score can range from 1 to 10, indicating how relevant a particular ad is to the target audience. The higher the score, the more relevant the ad is. If you want to continue showing it, you will be charged more. However, a score of 8 and above means that the ad is perfect for the audience. Increased CTR or click-through-rate will increase the Relevance Score which will reduce your CPC. This is because Facebook will realize that your target audience is responding positively. Aesthetics is an important part of ads along with having a catchy and attractive headline. High-quality images, appealing text font and style, and contrasting colors all do their part in making an ad look interesting. Did you know that adding a CTA button increases CTR by as much as 80%? Instead of working with a wider range of audience, try to narrow them down. This will be a great help if you will know your target audience clearly. You can then create special offers and target them specifically. Narrowing down your target audience will also reduce competition from other businesses. One big issue with Facebook Ads strategies is the overlapping audiences. This refers to when different ads are shown to the same target audience. The more they overlap, the worse your ad campaign is likely to be. It will also result in a higher CPC since you are essentially competing against yourself. One way to check for this is to make use of the Facebook Audience Overlap tool. This will tell you if the audiences are overlapping. Setting up Facebook conversion tracking will help you lower the CPC. Conversion tracking will not just help you measure your ROI, but it will also assist you in increasing your income from Facebook Ads. With a Facebook Pixel, conversion tracking has become extremely simple. The tool is pretty similar to Google Analytics. You will be able to track all your pages and create audience groups as well. Facebook Remarketing Ads produce three times increased engagement than your usual Facebook Ads. There are two types of remarketing audience – customer file audience and website traffic audience. The former involves uploading customer emails and using that for marketing while the latter involves developing a remarketing audience depending on previous visits. These are simple steps you can follow to lower your CPC on Facebook Ads. There are plenty of factors that can impact the cost and Relevance Score, conversion tracking, and audience targeting are some among them. If you have any questions or are looking for some more guidance, please contact us today.